Everything we feel, everything we touch, everything we are. Our own. We can reach it, touch it and be her heartbeat. We can stand in it. We want to regenerate Earth’s heartbeat, for it is our home. Earth’s heartbeat becomes stronger, as does our own. Caring, our lives exist at a higher level. Ripples peace through our lives. Click on photo to read insights on these pictures. Our designs transform outdoor spaces into beautiful, abundant living sanctuaries of harmony and peace. Our designs have many layers of interior depth. Includes: 3 meetings with the client, site evaluation and 30 hour project includes: 3 meetings with the client, site evaluation and measuring, studio time for base plan, studio time for conceptual sketches, studio time for final drawing, printing and copying. 30 hour project includes: 3 meetings with the client, site evaluation and measuring, studio time for base plan, studio time for conceptual sketches, studio time for final drawing, printing and copying. Includes: 3 meetings with the client, site evaluation and Amitola can make space look different ways. Both spaces were designed to accommodate large and small groups of people. This project was called, “As Seen from Above”. 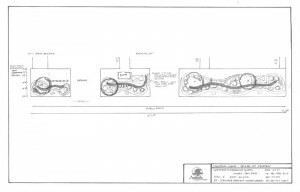 The elevationals in the lower part of the drawings show what each of these plans would look like from the street. This is the same space designed a different way. Both spaces were designed to accommodate large and small groups of people. This project was called, “As Seen from Above”. The elevationals in the lower part of the drawings show what each of these plans would look like from the street. We are an independent design company and are not affiliated with any one construction company. Why is that an advantage to you? Anaya combines her intuition and ability to connect humans, nature and form. She relies upon her extensive experience, knowledge and training in plants, design and construction. Why aren’t most designers trained/experienced/creative in this way? Owners often have ideas – Anaya enjoys to incorporate these ideas in the creation of a vision that brings all elements together. See Testimonials from clients. Her designs will save you years of trying to piece together different elements for your outdoor spaces – which may turn out to be costly, frustrating and time-consuming. Designing living outdoor spaces for energetic flow and synchronicity requires a highly developed skill set. Anaya understands how landscapes flow, how plants interact and how people feel inside different outdoor spaces. When built on specification, her designs markedly increase the value of the home and land, and that value continues to grow over time. Custom design based on your tastes and preferences, your requirements, and the energetics of the space when it is in synchronicity with the architecture of the buildings and the lay of the land. The designs develop from client discussions. You will see and participate in the development of the design. There are ample opportunities to make changes or adjustments during design creation. Our process ensures that your input is embodied in the design. 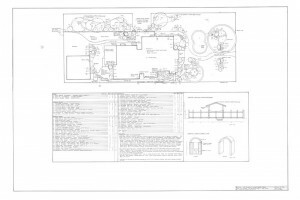 Placement of and designs for gazebos, decks, screens, gates, pergolas, archways, pathways and patios. Selection of the right plants to support the overall design, and the depth, and type of connection you are seeking. Project Management for the construction of Anaya’s designs if they are to be built by a contractor and Project Assistance for do-it-yourself builders. Anaya is a respected expert in plants of all kinds, with rich intuitive understanding of how plants interact and grow over time. Expertise in edible landscapes, forest gardens, biodiversity by design, natural systems and horticulture. Expertise in ornamental trees, shrubs, perennials, annuals, food and medicinal plants, aromatic, dye and fiber plants, and naturally occurring species. Information and choices on how to grow and maintain plants, maintain healthy soils and support a living system in outdoor spaces. Anaya’s designs enhance positive energy flows in your outdoor spaces and in the land to enhance human harmony and connection. Anaya has designed spiritual spaces for a variety of religious denominations. Designs medicine wheels, mandalas and meditation areas. Embraces how people,nature and architecture work together in balance and harmony. Providing and teaching intuitive connection with plants and the land. This service works for new outdoor spaces or old yards in need of refurbishments. 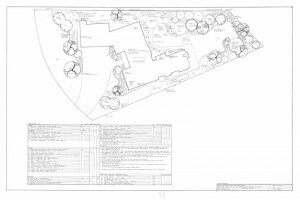 This service is intended for caring, capable owners wishing to build their own landscapes and/or where the project is fairly simple and straight forward. 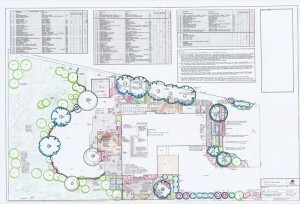 The worshop includes site planning and design, construction “how to”, and plant selection and location. 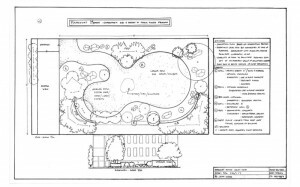 At the end, you will have the sketch of the design that includes plant locations, a plant list and various notes from the discussion. It will be your building plan for your do-it-yourself project. Some of the nicest installations we’ve seen have been built by the owner(s) from a design they and Anaya created in a workshop; and the owners are very pleased with their results. A workshop can vary because the criteria varies, as do the people and their skillsets. Very simple designs may take 1 or 2 hours. Most workshops run about 3 1/2 to 4 hours. A workshop will give you enough information to build your landscape project with confidence. At checkpoints during construction and plant installation, Anaya is a very knowledgeble guide. She provides checks on the “lines”, construction, planting, nurturing and care information and biodiversity guidelines. Clients are also welcome to phone with questions as they build. Each follow up takes about an 1 hour. Price: follow up services are available. they are essential when project is complex and specification is tight. the time frame is longer in the development of detailed drawings. Many owners appreciate more time to think and process the development of their design. From the designers perspective more time allows more ingenuity and creativity to develop within the design. 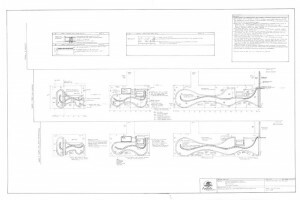 Anaya’s drawings are scaled, contractor-ready construction layouts (blueprints). Computer imaging is available for clients, however she prefers to hand render both conceptuals and construction drawings because of the advantages. 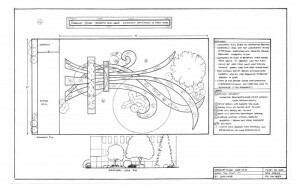 if necessary hand rendered drawings can be changed and they can be digitized. Owners are involved throughout Anaya’s design process and wonderful synergies begin to happen as the design is created. Anaya’s detailed construction drawings and the deep dimensions of her designs go far beyond permaculture and other typical design services. The results of the constructed project are transformational for clients in improving their living quality. When build on specification, Amitola clients often find a new sense of harmony and contentment in their outdoor spaces; in the ease of the way the spaces function and how clients feel when they are inside the spaces, or looking upon them. 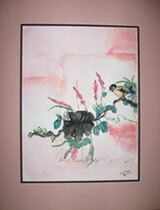 This sense of harmony increases with time as the plants mature and the designed effects assume full presence. Amitola is aware of the wide range of prices for construction drawings found in the market place and the confusion this may create in people’s minds. In most cases prices directly reflect the level of skills and artistry required to create the degree of internal depth described by the design. In part, they also represent opportunities for client involvement during the creation of the design. We have developed and invite you to print and use our free, easy to use, How to Choose a Designer Tool Kit and be your own match maker. Anaya’s designs represent a high level of skills and artistry, great internal depth of design and high client involvement. and for printing and copying. Deep, healthy, properly designed landscapes increase in value each year. When built on specification, our natural systems, holistic designs can help reduce you maintenance costs, enrich your life, help provide for our natural system, can, if you choose, both significantly reduce your food costs and provide you with higher quality foods; yet provide a you with deep, touching beauty all year round. You experience your landscape each time you arrive at your home, each time you look out your window, and each time you go out in the your yard. Once we have developed the design drawing, Amitola also offers Project Management services. This ensures that home owners will have the results they expect from the drawings. Often when services are contracted out, the contractors, even though they may be good people, and good builders, may not understand the bigger vision. They may not understand why certain areas were created in a certain way, for example: for a specific function, for a view from a window, as a sitting area at a certain time of day, in combination with certain plants for specific effects, as a special highlight for the children, etc. This commonly results in changes that detract from results or can even collapse the design so that it can not function for the use it was intended. Most often these changes come from unknowing, but, they may be only from a place of ego or from intention to take short cuts. With out the experienced designer there to guide them and work on behalf of the owners, the strangest things can happen. Owners spare themselves the work, time, and stress of getting the project built to specification with Amitola Project Management services. Prices will depend up on the project. *To all prices add GST. Outside of Edmonton proper, travel fees apply.